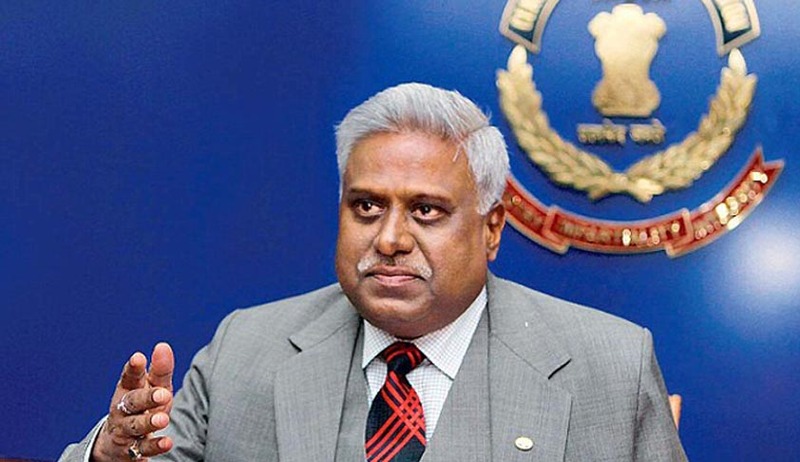 CBI Director Ranjit Sinha has reportedly filed an affidavit in the Supreme Court, in furtherance of the accusations against him over the visitors’ logbook at his Delhi residence. The affidavit was placed before a Bench led by Justice H.L. Dattu. It asked him to file two separate affidavits — one on the merits as to why he should not be removed from the 2G cases besides initiating an inquiry against him, and second, on the maintainability of the application by NGO CPIL, a petitioner in the 2G case, which has sought actions against him in view of damning disclosures. The Bench had earlier on September 8, rejected Singh’s argument that filing an affidavit would mean disclosing crucial facts relating to 2G spectrum probe. It said if he chose not to file an affidavit in response to the allegations against him, the court would be constrained to draw unfavorable inferences. However, the Court reminded Sinha that it was concerned with the fairness of the 2G trial since it was monitoring the cases and hence it would want to get to the root of the issue. The matter will be heard by the Bench on Monday. Sinha is caught in the controversy over leaked documents showing details of visitors, including representatives of companies involved in the 2G telecom spectrum and coal block allocation scams, meeting him at his residence. Considering that Ranjit Sinha is the director of the Central Bureau of Investigation, one would think admittance to his personal residence would be, well, limited. Instead, if spiraling news reports about his guests at 2, Janpath are to be believed, Sinha seems to have played a rather unreserved host – with some visitors dropping by more than a 100 times over 15 months. Read the Live Law story here. Sinha had threatened that he will file a perjury case against lawyer Prashant Bhushan, who is representing the Centre for Public Interest Litigation, which has argued for removal of Sinha from the 2G probe for allegedly trying to protect influential people. On Thursday, non-governmental organization Common Cause sought Sinha’s recusal from the coal scam probe. The court had last week nixed Sinha’s plea to restrain media against reporting on this issue. After Prashant Bhushan had claimed that he is in receipt of “very disturbing and explosive material”, i.e. the entry register of Director’s residence. The Bench headed by Justice Dattu today said that it had gone through the materials placed before it but can its take cognizance only when the same are placed on the record. Read the Live Law story here. The Court would examine the CBI Director’s response to the maintainability of the plea against him as well as on the merits of the allegations on Monday next week. Read more news about the 2G spectrum case here.